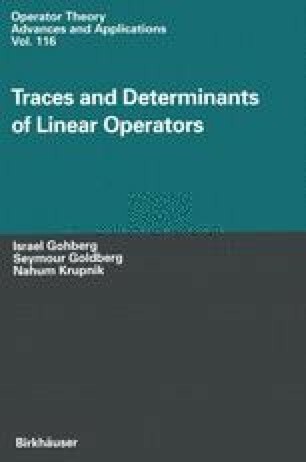 This chapter contains a brief exposition of nuclear operators in Banach space and their corresponding trace and determinant. It also contains generalizations to Banach space of some of the results in the preceding chapter. One of the main theorems is Theorem 3.1 concerning the trace and determinant of nuclear operators due to Grothendieck. Some asymptotic behavior of eigenvalues of nuclear operators in Banach spaces is presented.